How much do you love craft beer?!? I love it!! Craft beer is fabulous, and there about a million and five different flavors out there to be discovered and enjoyed. This is why I’m so stoked this month’s Spiked cooking challenge is all about craft beers. 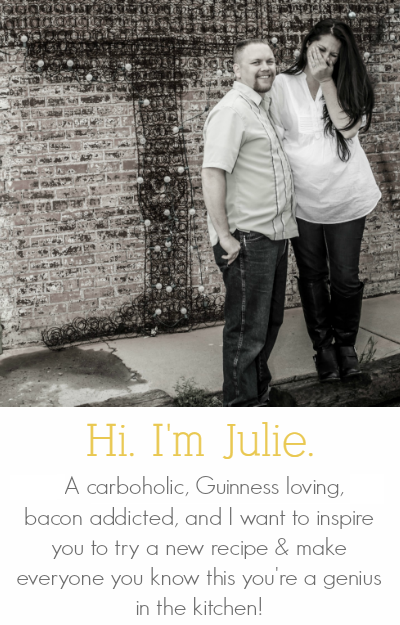 Julie from This Gal Cooks and I share an affinity for crafts beers, especially the darker and punchier varieties. There are a couple really great local breweries in Arizona. My favorite is Four Peaks. They have the most insane seasonal beer in the fall called Pumpkin Porter. It’s limited batches, and so popular they only sell it by the pint – no growlers – so they don’t run out as fast. 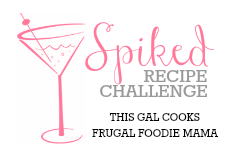 I saw this recipe in Food Network magazine and immediately knew it was my Spiked entry. 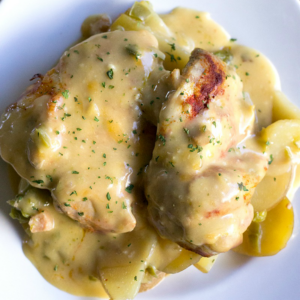 FNM uses the grill to make this buttery beer flavored plate of happiness, but it’s almost worth cranking on the oven to avoid grilling outside when it’s 118 degrees. So I modified this recipe for the oven. I’m using one of my favorite summer beers – Four Peaks Sunbru. It’s a light, KÖLSCH STYLE ALE that just screams “I’ll cool you off and make your day” when it’s hot out. 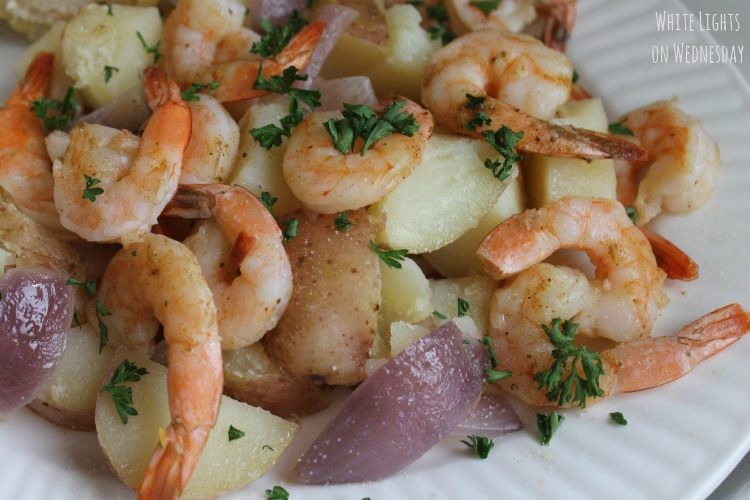 The flavors pair perfectly with the shrimp, potatoes, onions, and seasoning. And the aroma is heaven! Layer 2 large pieces of foil. Place potatoes and onions in the middle of the foil. Crimp foil edges to form a rectangular shaped bowl. Transfer foil bowl to a large booking sheet. Dot vegetables with 2 tablespoons of butter and 2/3 of the beer. Top with single piece of foil and crimp edges to loosely seal. You want to make sure you still have a descent lip around the edge to prevent any liquids from getting out. Place baking sheet in oven and cook for 40 to 45 minutes. Bring a large pot of water to a boil. Add corn and cook for 8 to 10 minutes until corn is cooked through. Remove from water; cool. Cut corn in half, so you have 4 pieces. Using another 2 sheets of foil, create another rectangular bowl. Add shrimp and dot with 1 tablespoon butter. Season evenly with Old Bay and pour in remaining beer. Top with a single sheet of foil; crimp edges to seal loosely. 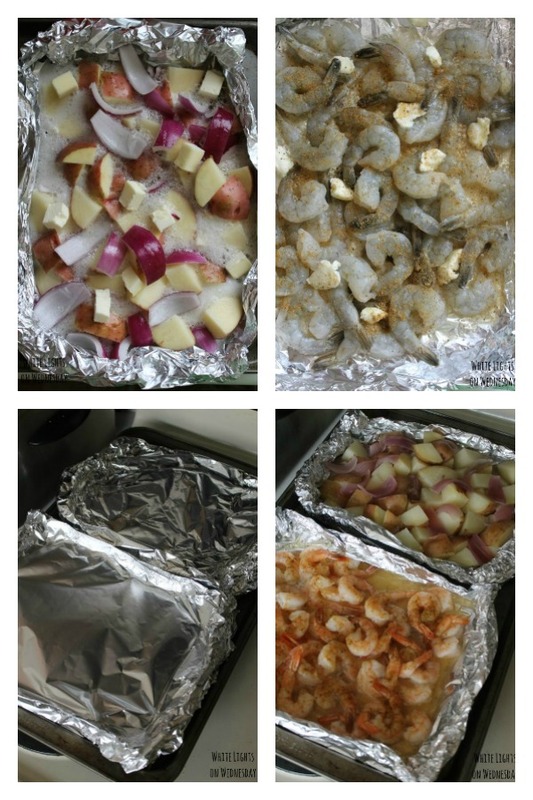 When there are about 8 to 10 minutes left for the vegetables to be done, carefully place shrimp packet next to the potatoes on baking sheet. 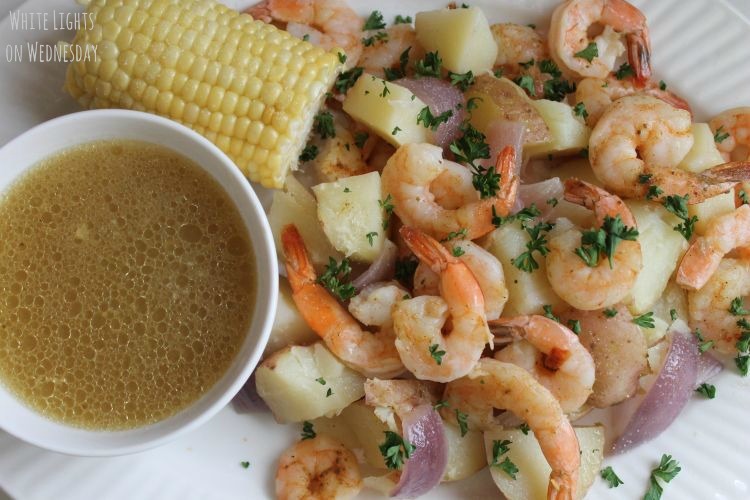 Cook for 8 to 10 minutes, until potatoes are fork tender and shrimp is cooked through. Remove foil lids from both packages. Using tongs, remove shrimp and veggies to a large serving platter. Pour the cooking liquid from both foil packets to the same bowl. Season shrimp and veggies with salt to taste, and sprinkle with parsley. Serve with corn and roasting juices. Thanks for joining us for the Spiked! 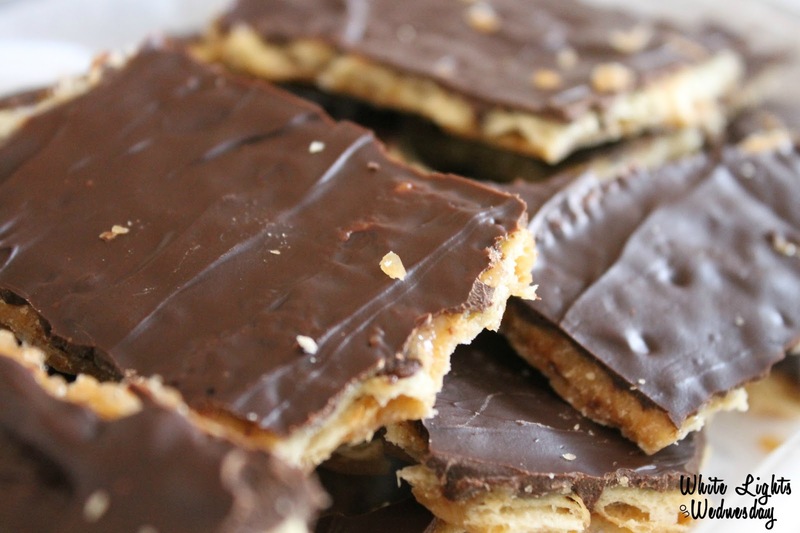 American Craft Beer Recipe Challenge and Good Luck!! This looks fabulous. 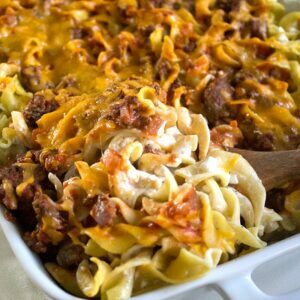 I am going to definitely try it! 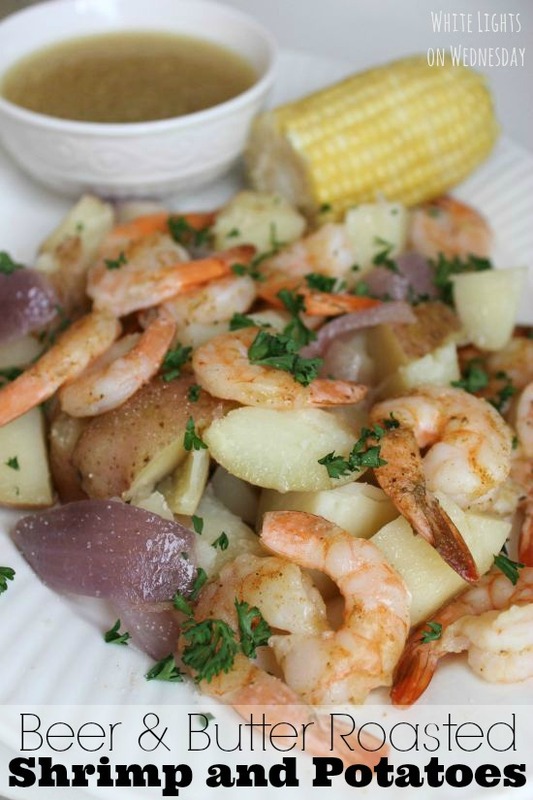 I love shrimp and always looking for new recipes!